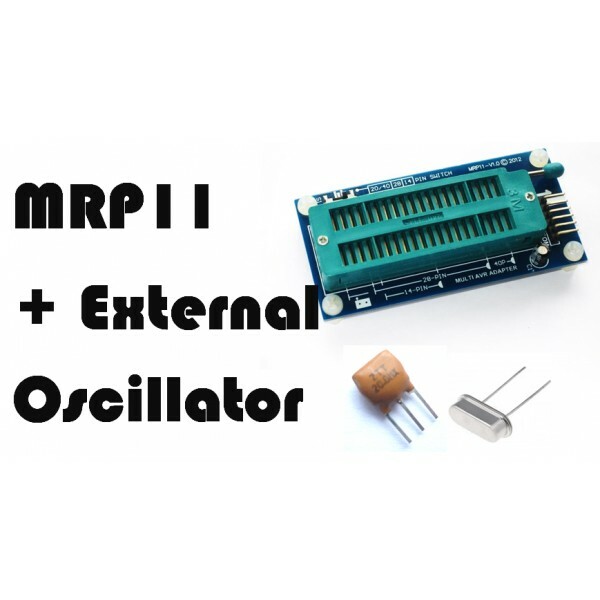 Step by step guide to using MRP11 Multi AVR Adapter with external oscillator﻿. 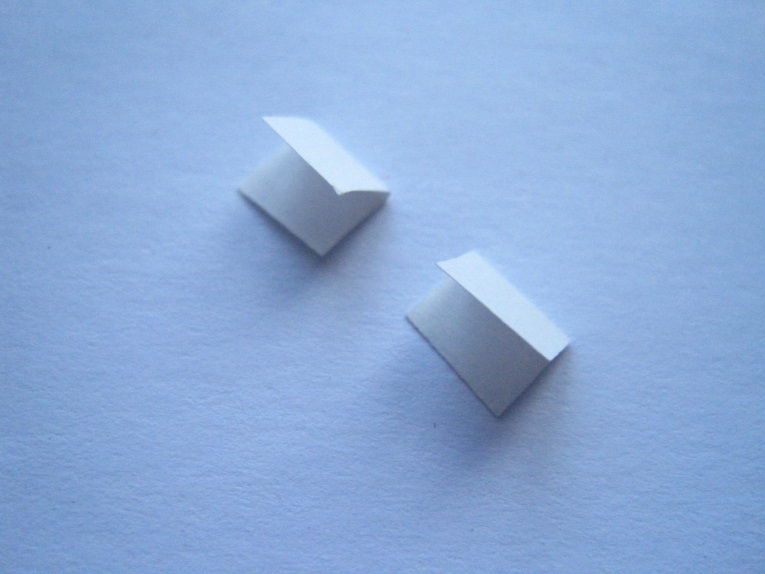 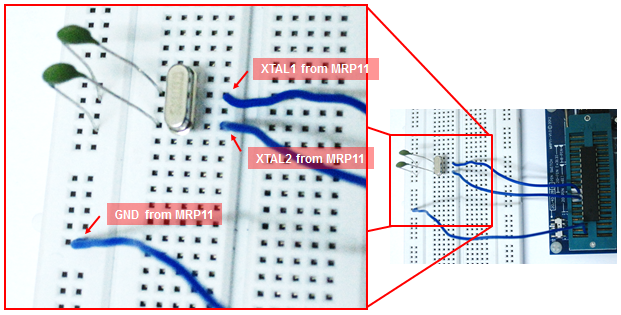 ﻿Identify the pin number for XTAL1 and XTAL2 on target MCU from datasheet. 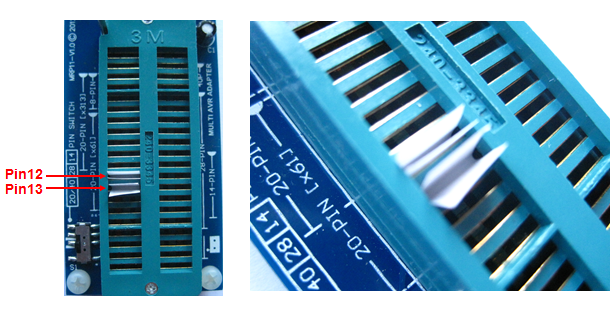 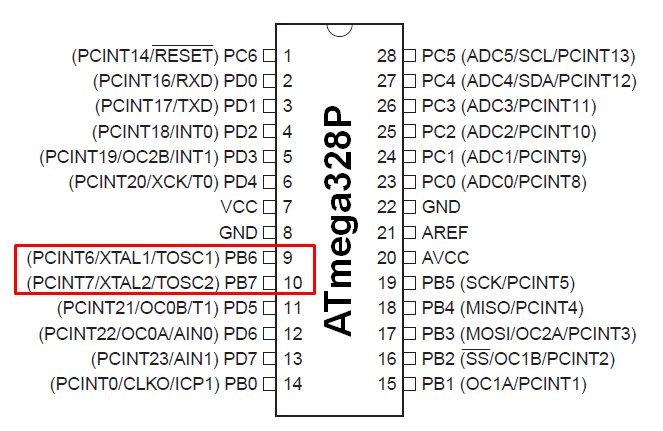 For example, ATmega328P has XTAL1 at Pin9 and XTAL2 at Pin10. 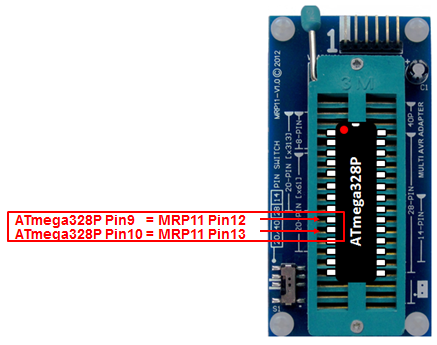 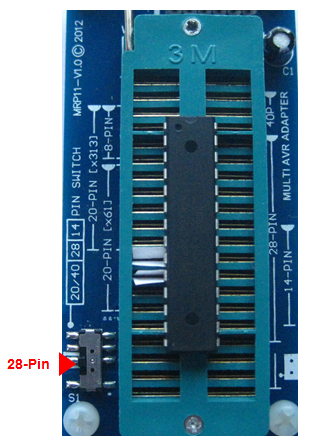 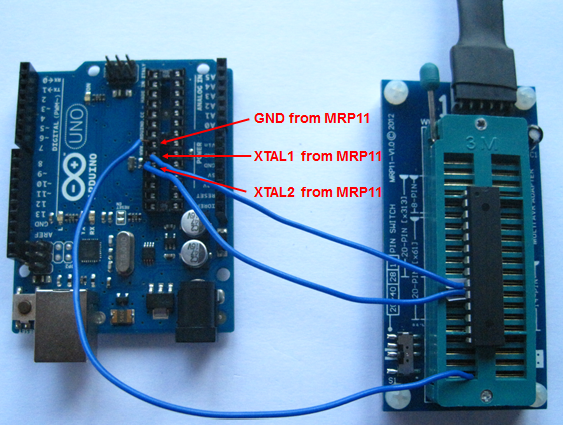 Identify corresponding pins on MRP11 Zif Socket according to XTAL1 and XTAL2 pin of target MCU, For example, Pin9 and Pin10 of ATmega328P are located on MRP11 Pin12 and Pin13, respectively.